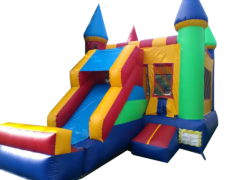 Dry Slide Rentals | Dry Slide Rental McHenry | Let's Bounce, LLC. Let's Bounce, LLC. is ready to bring the party straight to you! 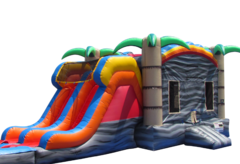 We have Dry Slide Rentals that not only look impressive, but provide hours and hours of fun for party goers of all ages. Who says you need water to have a good time on an inflatable slide? 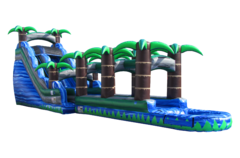 Our inflatable dry slides can be just as much fun! They are just as bouncy and the slide material is designed for low resistance when used dry. Plus, you don't have to worry so much about the weather when you choose a dry slide rental. 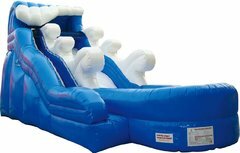 Inflatable dry slides are perfect for schools, day cares and churches because they can be easily set up outside or in a gymnasium. Do you need a fun food idea to compliment your inflatable rental? Have a look at our Concession Machine Rentals. Thank you for considering Let's Bounce, LLC. 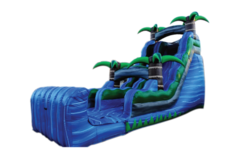 for your Dry Slide Rental in McHenry, IL! 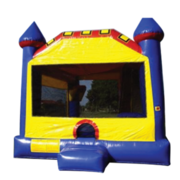 We are a local family owned Party Rental Company that is dedicated to serving our community with quality service and party rentals that meet your budgets needs. Customer Service and Customer Safety are top priorities for us. That's why we visually inspect and hand sanitize between each rental. We guarantee that your party rental will arrive to you in a timely manner. We serve McHenry and the surrounding areas. Contact us today with any questions or concerns you may have. We hope you'll let us help you with your event today and years to come!